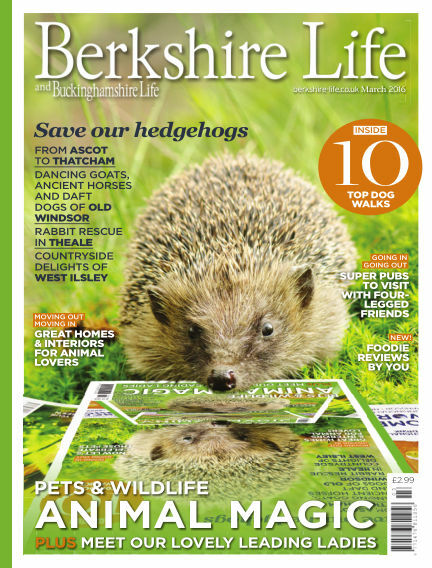 In this issue of Berkshire Life : Pets & Wildlife: Animal Magic - Save Our Hedgehogs - Foodie Reviews by you - Top 10 Dog Walks - Great homes and interiors for animal lovers. With Readly you can read Berkshire Life (issue March 2016) and thousands of other magazines on your tablet and smartphone. Get access to all with just one subscription. New releases and back issues – all included.